Is your roof looking the worse for wear and needing attention? If so, call now. We're the expert roofers serving Woodthorpe and Arnold with a full range of professional roofing services for commercial and domestic customers. Call now to find out more on 0115 815 7202. We're fully trained roofers undertaking work to the highest of standards, at a price to suit your budget. We're happy to visit you for a free consultation and provide you with a free estimate on any roofing job you're considering. 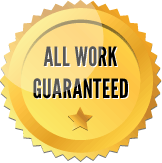 We offer a guarantee on all work. Don’t hesitate: call now.